There are some inevitable things in life that we prefer not to think about. A clogged toilet is one of those things. We don’t know about you but we’ve met very few people who eagerly look forward to the task of opening up a clogged throne. We imagine the sanitary issues related with this activity might be the reason people tend to avoid it. This is the main reason why we mostly call in help to assist us. There are many symptoms which a clogged toilet may exhibit. Water being flushed slowly is an indicator that there is some blockage up ahead and no flushing at all means that the tunnel up there is clogged up good. Water may flow out of the cubicle in such situations so be careful! 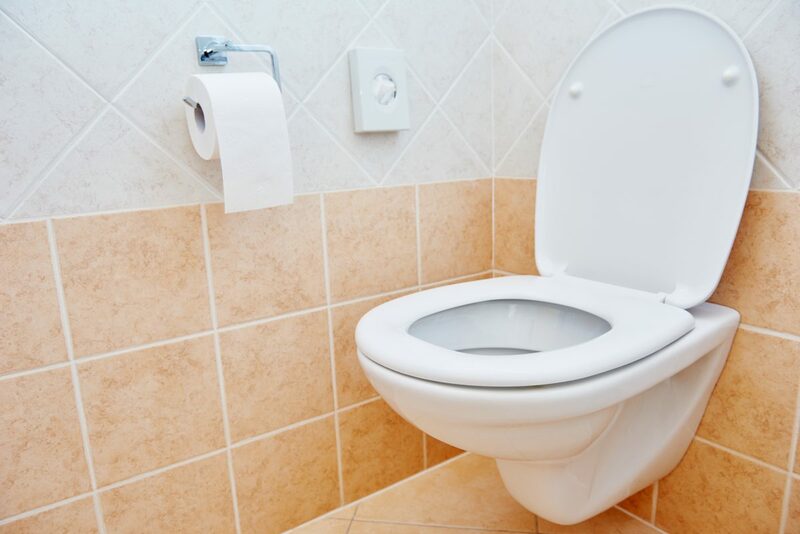 There are many things that cause a toilet to get all clogged up, the following are a few common causes. 1) Guess what is the staple that clogs up your toilet? Go on. Well if you didn’t know it’s wait for it, ‘Toilet Paper’. Didn’t expect that now did you? Toilet paper causes most blockage occurring inside your toilet. It may be because of the overuse of toilet paper in a single flush. Some toilet papers don’t dissolve easily and hence cause blockages. 2) Kids throwing foreign objects into the toilet like toys and food can also cause a clog in the drain. If not removed immediately these carry a risk of causing a heavy blockage. 3) Common everyday misconceptions we encourage like throwing female hygiene products like menstrual pads, tampons etc. into the toilet also cause blockages as they are big and take a while to dissolve. 4) Similarly things like cotton balls and other absorbent materials are likely to cause blockages when they are flushed down the toilet and get stuck in pipelines. Other everyday materials include baby wipes which are good absorbents and build up quickly in the pipelines. Diapers are likely to instantly clog up the toilet while hair gets stuck with other things to cause obstructions. If the situation is not grave and you can approach the toilet bowl with ease, we recommend you try out drain-opening chemicals available these days that help break down blockages. Simply pour the liquid into the toilet bowl for 15 minutes and you’ll notice the water level go down or the toilet will drain completely. Give it one safety flush to clear out any stubborn residue. A toilet plunger is another classic remedy used for clogged toilets. Thrust the plunger into the trap without the rubber cap leaving the opening and thrust the plunger to and fro. You can repeat this several times. The toilet Auger is an instrument similar to the letter ‘J’ accompanied with a cable and handle. The way you operate is very simple, first you reveal the cable’s tips by drawing the handle out. Then you put the auger’s tip at the opening of the toilet trap and slowly drive the handle through the opening while simultaneously turning on the auger. When only the opening is visible draw out the handle and repeat the a few times. Give it a safety flush at the end. If these methods don’t work we think it’s time you called the experts: 08008766277!